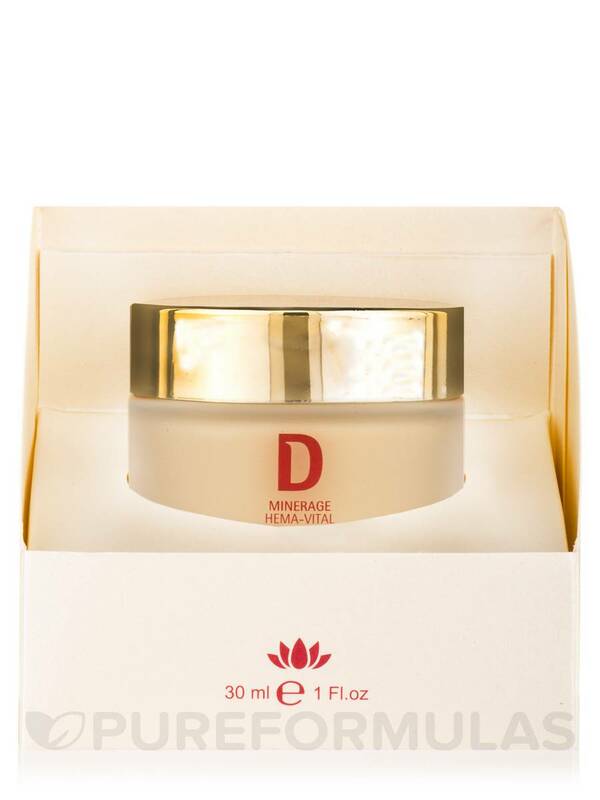 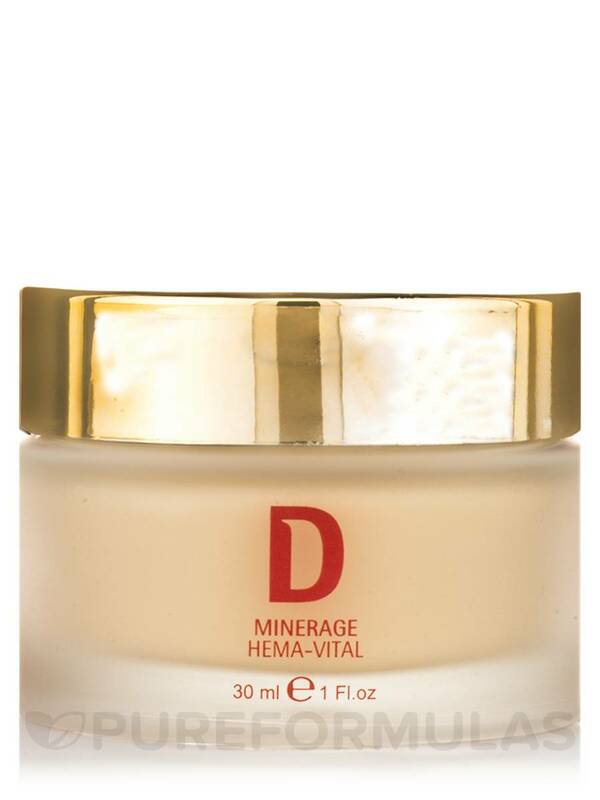 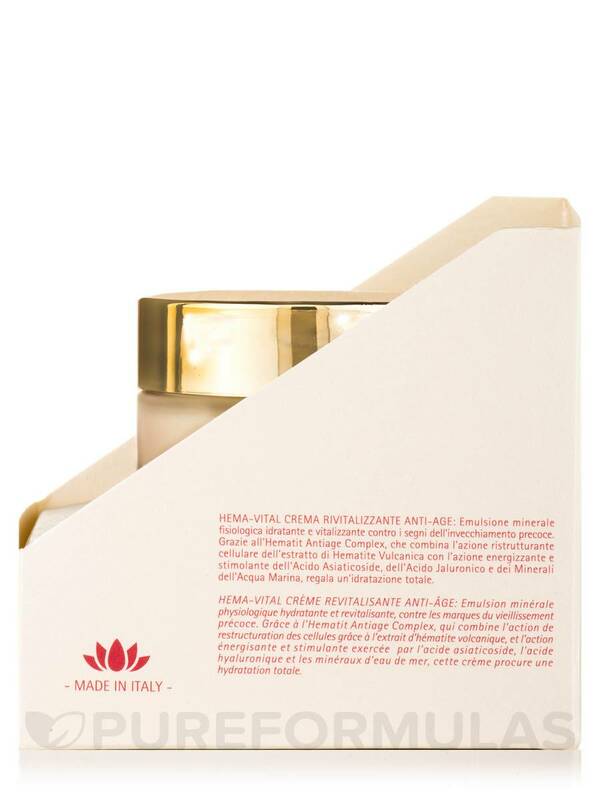 A physiological mineral-rich moisturizing and revitalizing emulsion to combat the signs of premature aging. 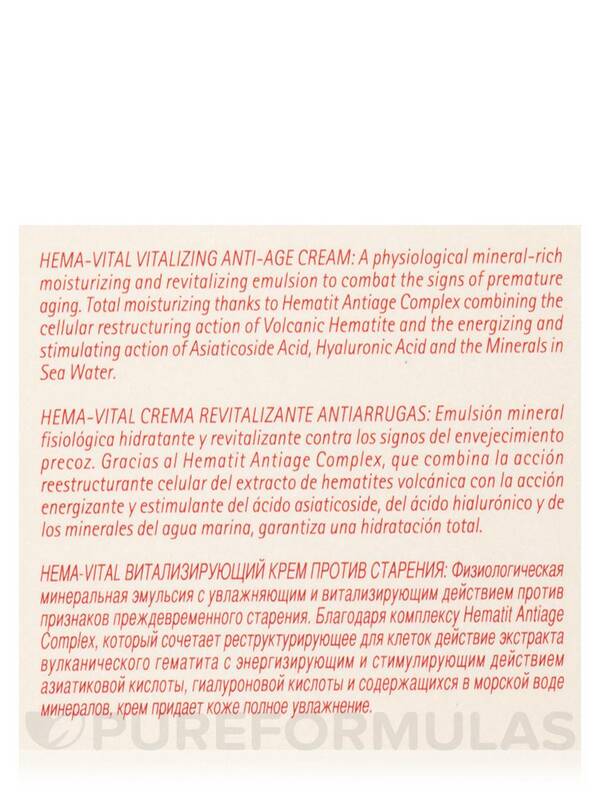 Total moisturizing thanks to Hematit Antiage Complex combining the cellular restructuring action of Volcanic Hematite and the energizing and stimulating action of Asiaticoside Acid‚ Hyaluronic Acid and the Minerals in Sea Water. 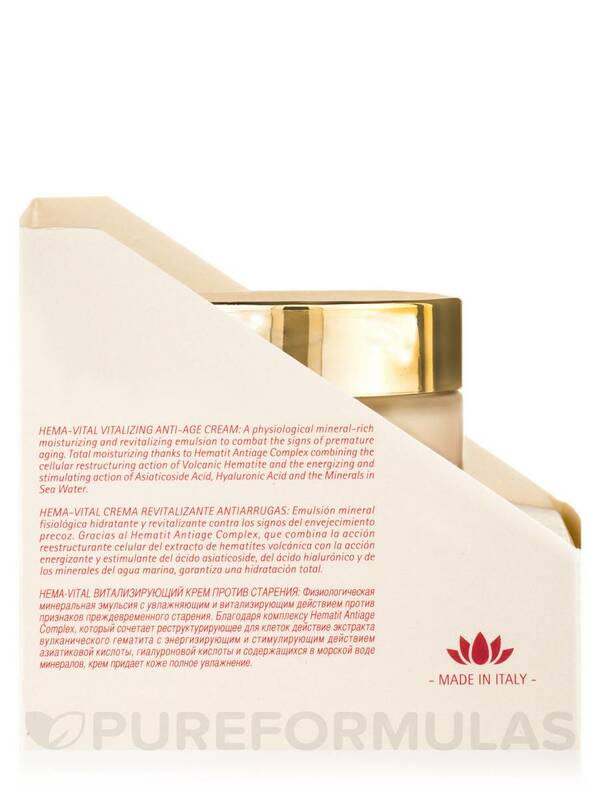 Aqua (water)‚ prunus amygdalus dulcis (sweet almond) oil‚ glycerin‚ glyceryl polyacrylate‚ simmondsia chinensis (jojoba) seed oil‚ cetearyl olivate‚ maris aqua‚ sorbitan olivate‚ glyceryl stearate‚ hematite extract‚ panthenol‚ sodium hyaluronate‚ centella asiatica (hydrocotyle extract)‚ plancton extract‚ decyl oleate‚ citric acid‚ lecithin‚ tocopherol‚ ascorbyl palmitate‚ cetearyl alcohol‚ ethylhexyglycerin‚ sodium dexhydroacetate‚ dimethicone‚ disodium EDTA‚ phenoxyethanol‚ parfum. 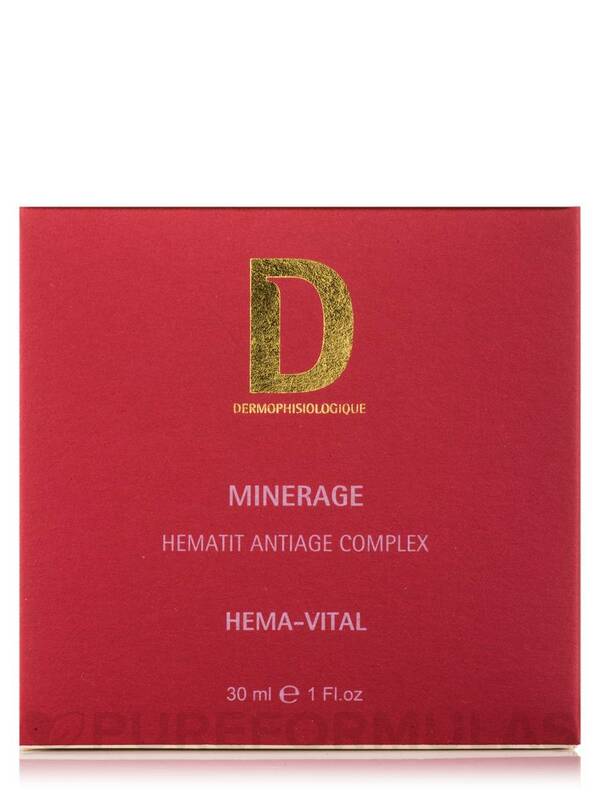 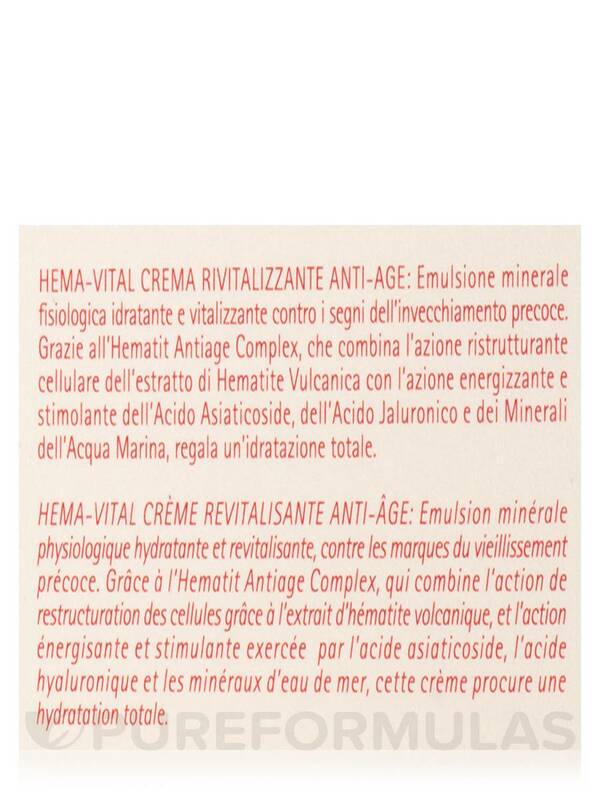 Dermatologically Tested / Certified of proved efficacy antiwrinkle. 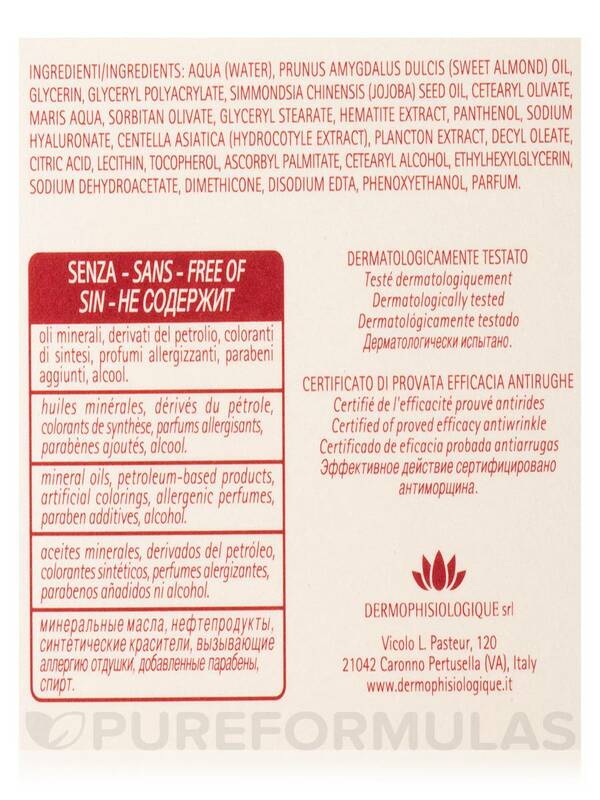 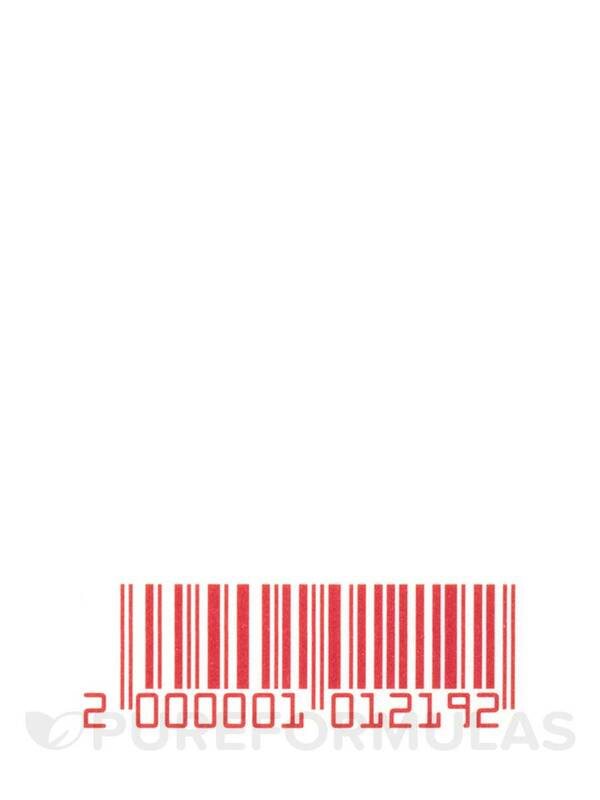 This product is free of mineral oils‚ petroleum-based products‚ artificial colorings‚ allergenic perfumes‚ paraben additives‚ alcohol.